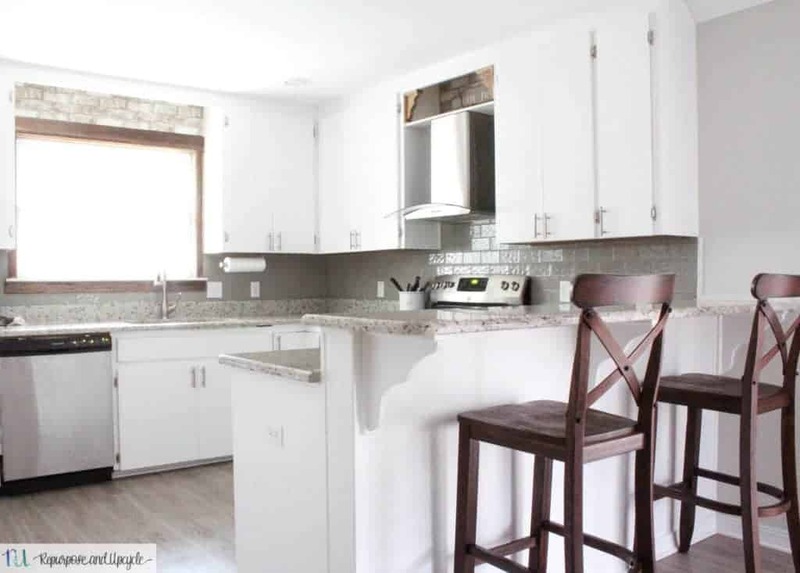 When I redesigned our kitchen in our modern farmhouse builder grade home, I decided to do away with the “step up” bar. I was so happy I did this. I feel like a counter height bar is more functional, especially with kiddos. Sadly when we moved to our new home, I’ve had to get used to a step up bar again. Now I’m on the hunt for a set of budget friendly rustic farmhouse stools for this space. 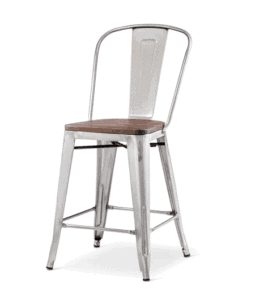 I figured as I was looking I might as well share a few budget friendly farmhouse style bar stools with backs. 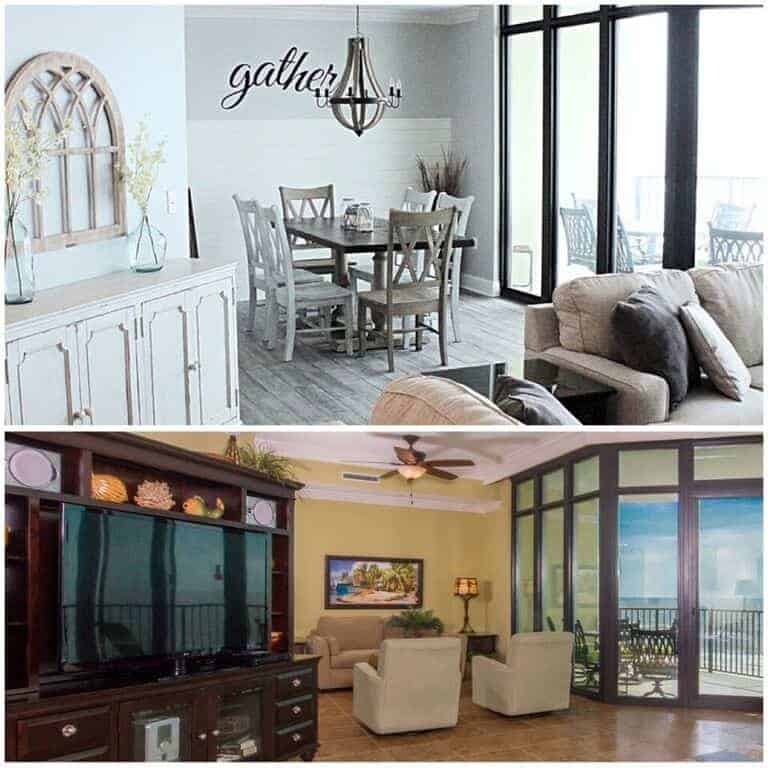 Let me first share a view of our new rustic beach cottage kitchen. You see the lovely step up bar? 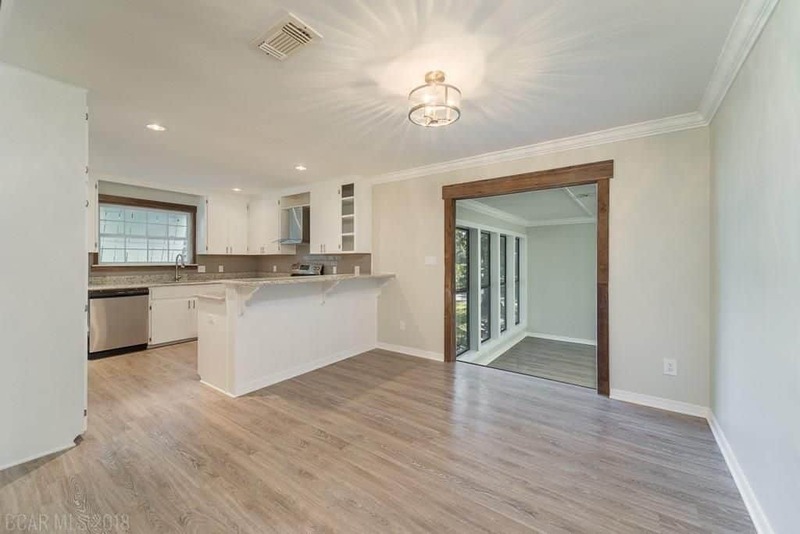 If I had to design this kitchen myself, I would have removed the attached bar area and created a floating island WITHOUT the step up bar. Hmmm, maybe a project for later down the road. For now, I will live with it and make the most of this space. 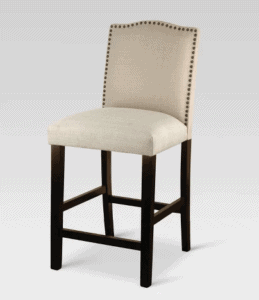 Mostly, I needed actual bar stools. 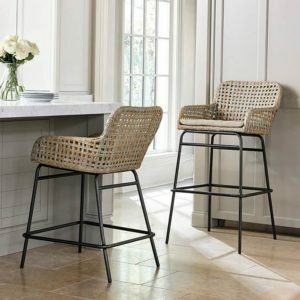 During my search for bar stools, I’m looking for two styles: X-back bar stools or woven coastal farmhouse style bar stools. 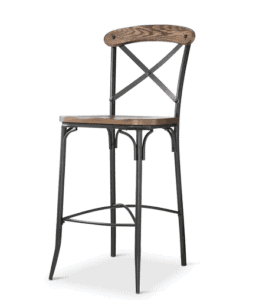 The other requirement for these bar stools is a price tag of under $200 for two. It’s a stretch, but very attainable. Note: this post contains affiliate links. This means that if you purchase from one of these links I will receive a small commission, but you will pay no more for the product. Thanks for supporting my blog! 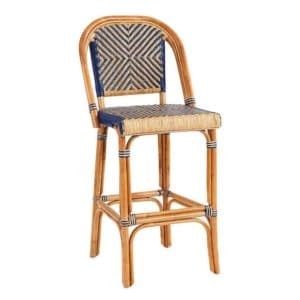 If I wasn’t working with a budget, my first choice would have been one of theses lovely woven bar stools by Ballard Designs. I LOVE the set in the first picture, but both of these have a higher price tag than $200 for two. A girl can dream, right? I love the woven look with a little color! This comes in different colors too. 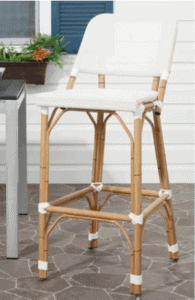 On with my search for a more affordable set of woven bar stools. Well guess what….I didn’t have much luck. I did find a set from Walmart, but the price was still a little high. 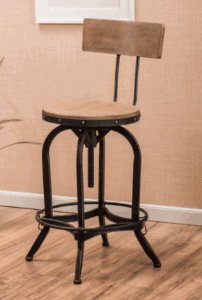 Since I didn’t have much luck finding an affordable woven bar stool, it was time to look for a more traditional farmhouse style bar stool. 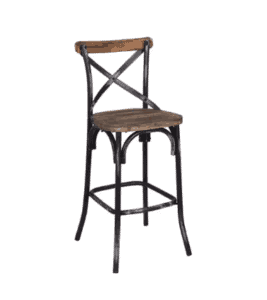 When it comes to a classic modern farmhouse style bar stool, you can’t go wrong with an X-back bar stool. Here are a few below that are affordable AND in my price range. Whoop whoop! I love that this one has a little color! 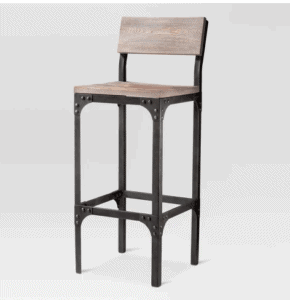 I love the industrial vintage style of this bar stool. 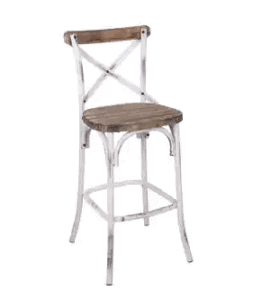 I almost decided to go with the metal farmhouse style bar stool, but I think this style is quickly becoming dated and I’m already tired of seeing it. Too bad, because these are really cheap. The traditional upholstered look is nice, but I felt like it was a little too traditional for my taste. These are a really great price! 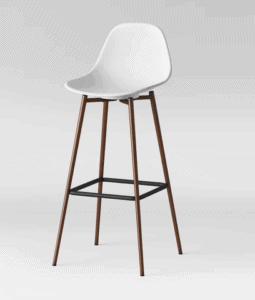 I almost went with a more modern Scandinavian style bar stool. I love the sleek modern look, but it doesn’t match my decor. I love the wood and the metal together! 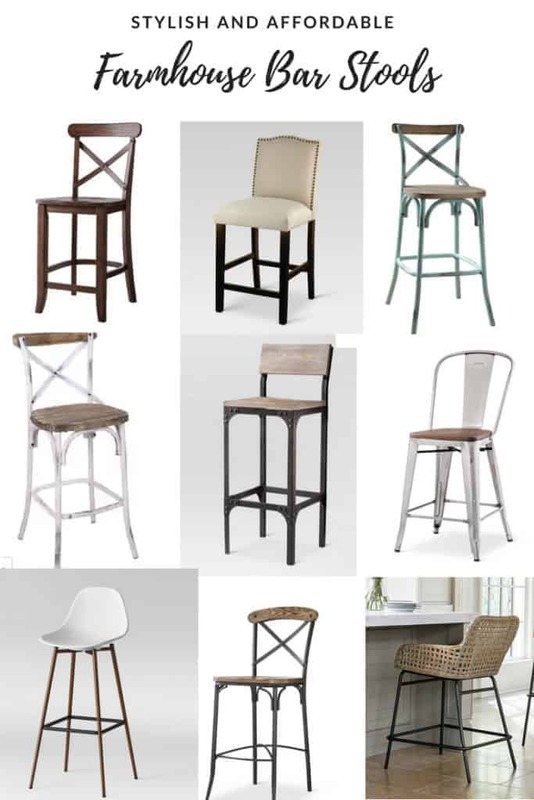 Now that I’ve shared a few different styles of budget friendly farmhouse style bar stools, which one do you think I bought? I chose the Target X back chairs! 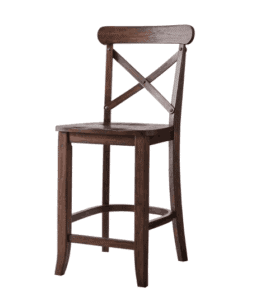 They are so durable, stable AND were a great price. 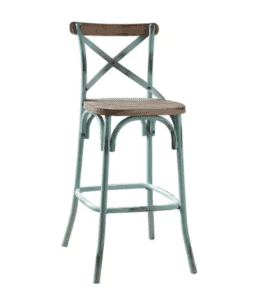 I hope this has helped you in your search for farmhouse style or coastal style bar stools with backs. Let me know if you find these posts helpful and I’ll try to share more of them!